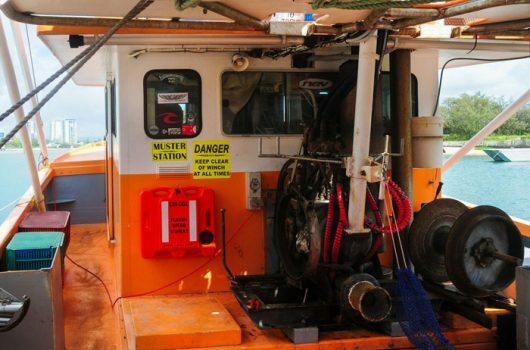 Life Cell has been approved by the Australian Maritime Safety Authority for use on the domestic commercial fleet. Life Cell products have been approved as both a buoyancy device and for stowage of safety equipment including pyrotechnics and smoke signals. Life Cell can be used by vessels that are required to carry buoyant appliances, pyrotechnics and/or smoke signals in accordance with chapter 5.3 NSCV section C7A. Chapter 5.3 of NSCV section C7A requires class 1,2 and 3 vessels operating in areas D or E (partially smooth waters or smooth waters) to carry buoyant devices. Chapter 4.10 of NSCV section C7A requires pyrotechnic and smoke signals to be stowed in a buoyant watertight container, fitted with a handle or lanyard. The container shall be clearly and permanently marked as to its contents. For all classes of vessel it shall be readily accessible and on Class 3 vessels mounted in a float free position. All models are approved for stowage of safety equipment including pyrotechnics and smoke signals. No variations are required to the standard recreational models. The NSCV standard for stowage of safety equipment has often not be complied with due to a lack of available products that met these criteria. Life Cell now allows for this standard to be easily met. All Life Cell models except The Trailer Boat have been approved as a buoyancy device. The Yachtsman has the capacity to support one person and the larger models, The Trawlerman and Crewman have been approved to support two people as per the NSCV standards. The Trawlerman and Crewman models have been adapted to meet the NSCV standards and commercial versions of these models are available for purchase. Grab lines, additional reflective tape and number of persons have already been fitted to the commercial versions. A 10kN Painter and vessel identification will need to be supplied by the purchaser.